Ingredients are mixed under variable amounts of pressure and vacuum. Once mixed, the dough is dispensed into the hoist tub and lifted to the Divider hopper. A ram and knife configuation divides the dough into smaller pieces, which are then passed to the Rounder. 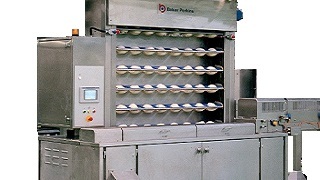 The dough pieces are formed into a ball shape, before being passed to either the Prover or resting conveyors. The stress in the bread dough is relaxed prior to moulding. 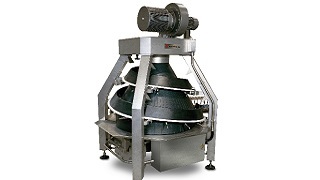 The dough piece is gently sheeted in the Moulder head then tightly coiled by the coiling conveyor. The overhead moulding board folds in the edges of the dough pieces to create even cylinders for accurate positioning in tin via the panner. A "cut-through" 4-piecing process and a technique to make fully-enrobed seeded loaves are also available. 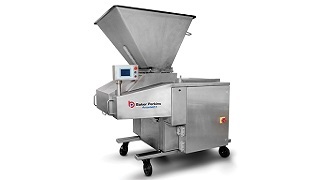 Baker Perkins' range of integrated dough mixing and forming systems has been well proven in demanding, high-output applications around the world. 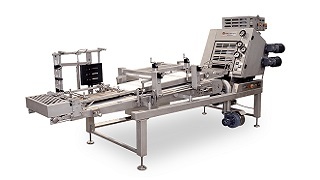 Precise mixing, accurate weight control and gentle dough handling all contribute to performance that drives bread quality up and production costs down. Systems comprise a number of unit machines linked together by an integrated control system, although every unit may be installed individually on existing lines. 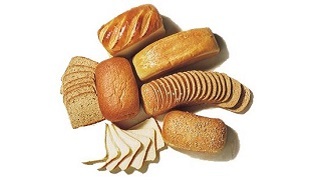 Each unit contributes to improved bread quality and reduced production costs, so even a single unit will result in an immediate and measurable improvement in performance. 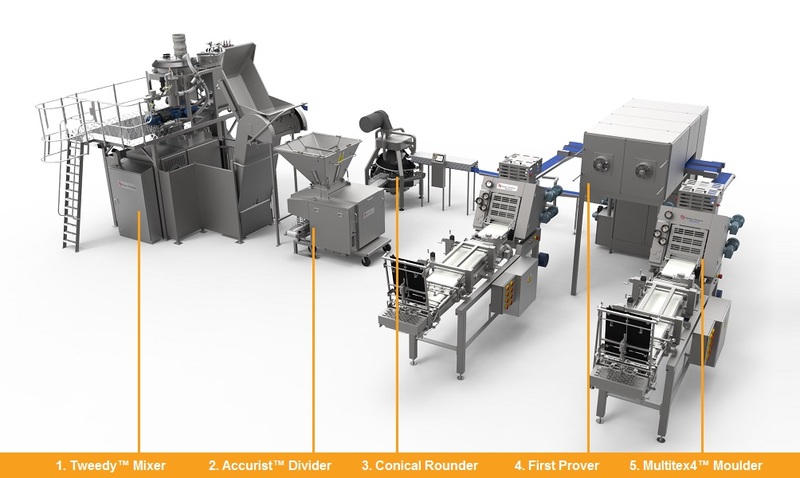 Gentle handling throughout the process minimizes stress and damage to the dough, enabling it to optimize prover performance. The resulting increases in volume and cell count of up to 10% give excellent crumb structure and a fine, even texture. The shape, colour and resilience of all the slices are enhanced making loaves ideal for premium and sandwich bread. Ingredient costs are reduced as less yeast and improvers are required to achieve the same bread quality. 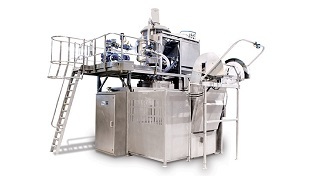 Gentle handling minimizes dough damage so more of the cell structure developed in the mixer is retained. The dough proofs and bakes well to achieve the retained volume, colour and softness, but at a lower cost. Production costs are further reduced because gentle handing eliminates the sticking and smearing that could affect efficiencies. It also means that a lot less cleaning and maintenance is required.